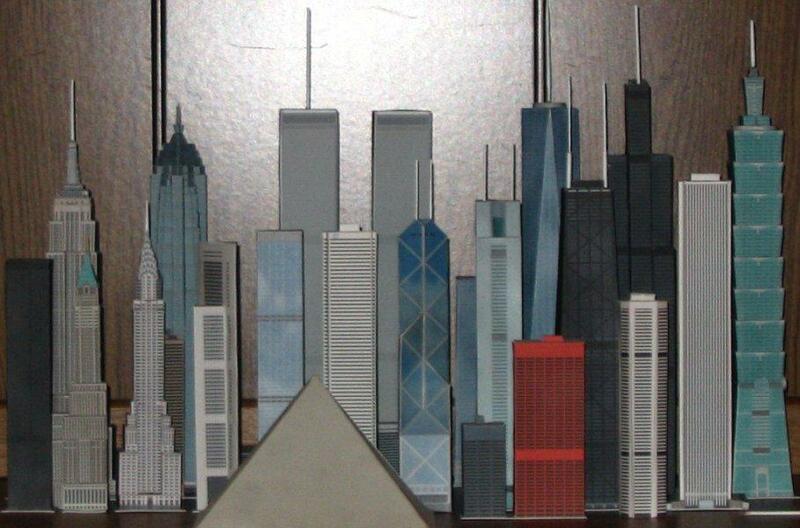 SkyscraperModels.us - THE place for free build-it-yourself model skyscrapers. The dedicated home of the skyscraper model. Some big announcements here. First, no, this site is not abandoned. In fact, I’m planning for a huge revamp. That’s good and bad news for you folks. The bad news is that this site will become more focused on my virtual 3D Chicago model, which I’ve been pouring my last couple months into, and will become my showplace for it as keeping it on Skyscraper Page isn’t exactly professional. The good news is that I’ll keep the paper models in the new site in its own section. I’ll also convert the 3D models into paper models every so often. That’s great news for you Chicago folks, but don’t worry if you aren’t from the Second City. When I have the time, I will post special buildings from around the world. Just to let y'all know, I haven't abandoned this site, but I've been quite busy with school (among other things) as of late. That means little time for modeling, but I welcome anyone to contribute their own creations. My next update will be a basic tutorial on how to get started in modeling yourself. A link to an unbelievably good model of Chicago's proposed Fordham Spire has been added to the main page. It's a real difficult build, but the end result is fantastic. 2,535 page views, 361 new visitors, and 403 total viewers. 2.17 gigabytes of bandwidth was used (this is for the entire months) and the most viewed model was the new World Trade Center. A model of Tokyo's Sunshine 60 has been added, not to mention, Shanghai's currently under construction giant World Financial Center. Some major upgrades to most of the site have been completed. Instructions and pictures for most of the models are now available. I've also added a stat collector to record the number of visitors. A bunch of new FAQs have also been added and some new models are on the way. Chicago's John Hancock Center and New York City's New World Trade Center (including the Freedom Tower) have been uploaded. SkyscraperModels.us is online! Well, sort of. While all the patterns are uploaded, I still have a bunch of photos I've got to upload and link in. So take a look around and feel free to drop me an email to tell me what you think.